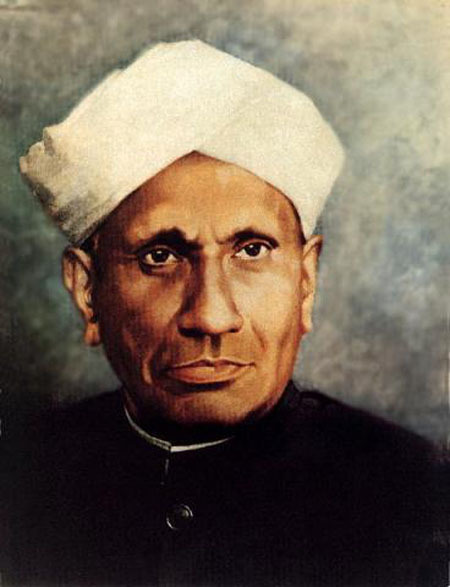 Raman was born on November 7, 1888, in Trichinopoly (now Tiruchirapalli), India. His father, a professor of physics, mathematics, and geography, collected books and played the violin, hobbies that Raman adopted also. Raman excelled at school and at age 16 won a scholarship to attend the Presidency College, from which he graduated first in his class with a degree in physics. He continued there as a graduate student, conducting independent experiments on the diffraction of light passing through rectangular slits. He sent a summary of his findings to a British scientific magazine and achieved publication at age 18. He earned a master’s degree in 1907. Because few opportunities for research were open to Indians in British colonial India, he worked as an accountant for the Indian government before becoming head of the physics department at Calcutta University in 1917. At Calcutta Raman began investigating the scattering of light by matter. In 1928, he discovered the phenomenon that became known as the Raman effect: the particulate nature of light causes it to be scattered (or diffracted) by the molecules of a gas, liquid, or solid, and this scattering results in changes in the light’s frequency (and color). This finding won him the 1930 Nobel Prize for Physics. Raman also explored the physics of musical instruments; he studied the behavior and effects of the components of the violin, piano, tambla, and tambura. Combining his interest in sound and light, he outlined the properties and effects of light as it passes through a liquid in which a sound wave is propagating. The explanation is known as the Raman­Nath theory. Indulging his passionate interest in diamonds, Raman collected approximately 300 of them and used them in the study of optical phenomena such as light absorption, light scattering, and X­ray diffraction. He established the Indian Academy of Sciences and founded the academy’s journal in 1934. In 1948 he opened the Raman Research Institute, a privately funded institution for scientific research. Raman died in Bangalore, India, on November 20, 1970. Raman’s accomplishments represented several steps toward the modern understanding of the physics of light and sound, and his efforts gave rise to India’s modern scientific community. Raman lived at an opportune moment to influence India’s scientific development. Until the twentieth century, most progressive endeavors in India were associated with literature, art, and architecture. The British colonialists encouraged the pursuit of science that would aid in furthering commerce, but they did not allow Indians much participation in that task. When the British introduced western education to India in the twentieth century, Indians became exposed to European science for the first time. Raman’s founding of the Indian Academy of Sciences and its journal, and his training of hundreds of young Indian scientists were instrumental in establishing India’s strong position in modern science. The Raman­Nath theory became important in experimental physics, to studies of the passage of starlight through the atmosphere and the properties of laser beams sent through plasma. The Raman effect explained the diffraction of light at the molecular level and led to advanced studies of the quantum theory of scattering light, investigations of various types of spectroscopy, and research into the physical and chemical properties of condensed matter.